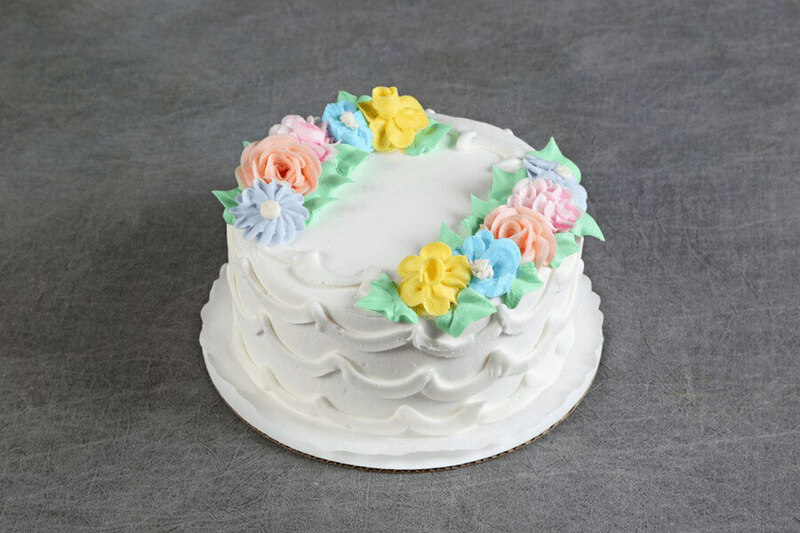 (8″ round serves 8-12) Two layers of UltramoistTM marble cake, sandwiched and frosted in vanilla buttercream frosting. Finished off with elegant swags and flowers. (8" serves app 12) Four layers of UltramoistTM lemon cake with 3 layers of sweet lemon mousse butter cream frosting, engulfed in yellow sprinkles and finished off with tart lemon dollops.